DeSean Jackson was released by the Eagles in March 2014 after the best season of his career while Chip Kelly was the coach. The Eagles have reached a deal with Tampa Bay to acquire wide receiver DeSean Jackson five years after they unceremoniously released him, according to sources familiar with the trade. NFL Network first reported the news. The Eagles are trading a 2019 sixth-round pick and get back a 2020 seventh-round pick, according to ESPN. No trade can become official until Wednesday at 4 p.m. This will be an anticipated reunion for Jackson, a star with the Eagles from 2008-2013. The team released him in March 2014 after the best season of his career while Chip Kelly was the coach. 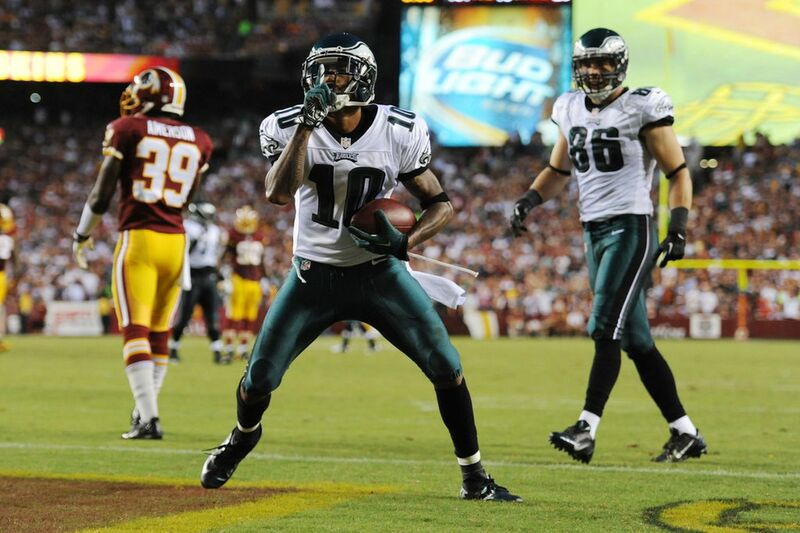 » ANALYSIS: Howie Roseman reels DeSean Jackson back to the Eagles. Is the receiver still a big fish? Jackson, 32, is much older than when he left Philadelphia, but he’s still one of the NFL’s most formidable deep threats. He led the league with 18.9 yards per catch last season and has averaged 17.4 yards per catch during his career. He’s topped 1,000 receiving yards five time in his career, including three times with the Eagles. Jackson played three seasons in Washington and two seasons in Tampa Bay after the Eagles. He had 41 catches for 774 yards and four touchdowns last season. There’s one year left on Jackson’s contract at $10 million. The trade is expected to include a new contract for Jackson.